You have read all of the sites that attack her. But was she really a plagiarist? In this short ebook, David Conklin attempts to answer the critics and explode the myths about her writings. Conklin uses a new different methodology to evaluate the charges of plagiarism in Sister White’s writings. 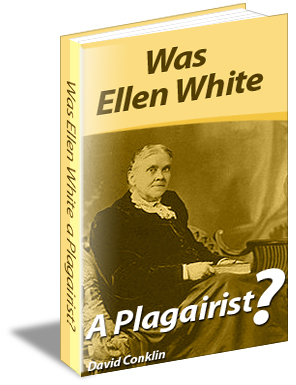 Many attempt to accuse Ellen White of plagiarism by only comparing similarities between her writings and the writings she allegedly copied. However what happens if you do not just look at similarities, but also look at differences? When you only look at similarities and do not consider differences, according to Conklin, you can overestimate the possibility of plagiarism. In this ebook, Conklin has used an approach that emphasizes not just similarities, but also differences. Download this ebook for free at the following link.